Were you involved in a North Miami car crash? Do you live in North Miami and were hurt in a car accident? Then you probably need a North Miami injury and accident attorney. At the Wolfson Law Firm, our North Miami car accident lawyers have more than 60 years of collective experience in helping the good folks of North Miami after car crashes. We can handle your case from the moment you call us at (305) 285-1115 until your settlement or jury verdict at trial. All you need to do is call us right now and we will get to work on your case right away. 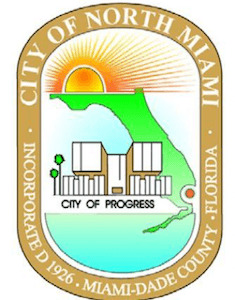 The City of North Miami is a separate governmental entity from its sister city North Miami Beach. North Miami is located in northeast Miami-Dade County approximately 10 miles north of downtown Miami. The population of North Miami in 2015 was estimated to be in excess of 68,000. North Miami was originally called Arch Creek. Then it was incorporated as the Town of Miami Shores. In 1931, the town was renamed the Town of North Miami. Today it is known as North Miami and boosts a rich and diverse population. North Miami has a large contingent of Haitian-Americans as well as representative populations from Cuba, Jamaica, Bahamas and Dominican Republic. When good folks are injured in car crashes in North Miami it can affect more than just the driver and passenger. Their families are impacted. Co-workers can be affected. In a perfect world, the driver who caused the accident would simply admit fault. That driver’s insurance company would then step in and pay for your lost wages, medical expenses, and some reasonable amount of money for your suffering and pain. But in reality, it never happens that way. Once you are in a North Miami car accident, there are many hurdles for you to overcome. Most of those obstacles come from insurance companies and it is not limited to the other driver’s insurance company. Your own automobile insurance company may make it difficult for you too. As if being in a North Miami car crash wasn’t bad enough, then you get a certified letter from your insurance company demanding that you appear for an Examination Under Oath. Now you wonder if you did something wrong. Why does your own insurance company now want to take your sworn testimony? Nearly all car insurance policies contain duties and requirements for the insured person. One of the main duties is to appear for an EUO as often as reasonably necessary. Unless you have a North Miami car accident attorney to advise and guide you, it is basically up to the insurance company to decide how often they need an EUO. If you have a lawyer, then it is a different game. First, the insurance company is unlikely to take advantage of you through the cooperation clause of your insurance policy. Second, a North Miami car accident lawyer can make sure the EUO is properly conducted. That is just some of the areas you can be questioned about and keep in mind that is your insurance company. You haven’t even started to deal with the at fault driver’s insurance company. That insurance company can be expected to be at least as difficult as your own after your North Miami car crash. That is only one of the reasons why you need the advice of a North Miami car accident lawyer. At the Wolfson Law Firm, our North Miami car accident lawyers know what to do to help you and your family after a car wreck. Just call us at (305) 285-1115 and allow us to answer your questions. If you want to hire us, we will be aggressive in our representation of you and your loved ones and work diligently to get you the compensation that you deserve after your North Miami car accident. Our Miami personal injury lawyers serve North Miami and other communities in South Florida including: Miami Beach, Edgewater, Midtown, Wynwood, Liberty City, Lemon City, Little Haiti, El Portal, Ives Dairy Estates, Miami Shores, Surfside and Downtown Miami.